*Drawing Everyday*: Grin and Bear It Again! 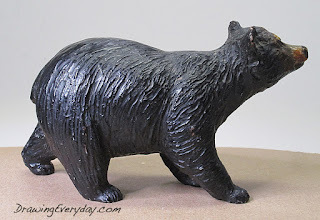 Today's little bear model for these two minute sketches has been drawn again and again and again over the years. My advice to you today is; don't be afraid to draw or paint the same thing over and over! A musician doesn't learn the scales, learn to play "Three Blind Mice" and immediately move on to "Beethoven's 9th Symphony"! Yet everyday I see students again and again, moving on to more advanced subjects before they have mastered their primary skills. It can take a while to train yourself to really SEE. Then the coordination skill of putting down what it is you see also comes into play. So my advice to you today is to give yourself a break and take a step back. Simplicity is a key to starting out in any complex field of study. 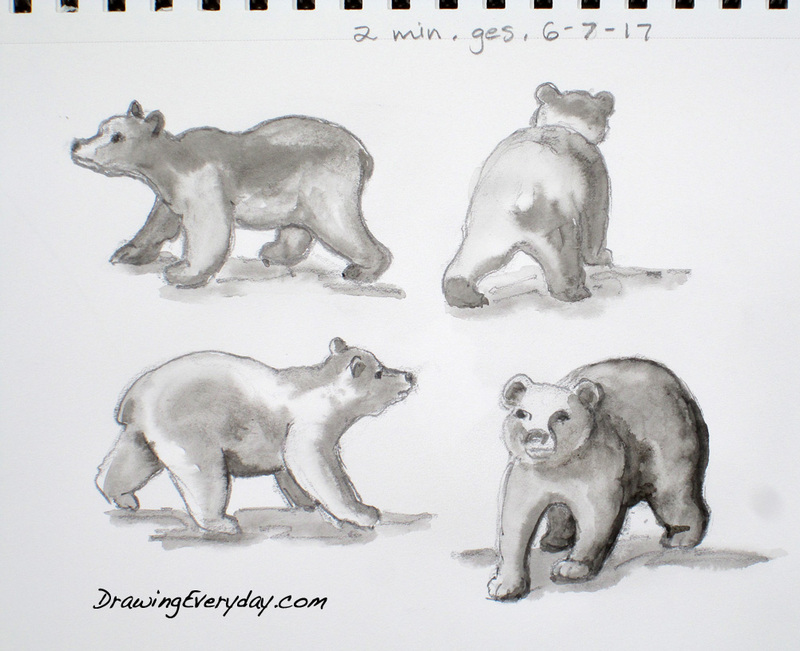 This coming week's CHALLENGE (Week 2 of the Daily Summer Sketching Series) is to try some gesture drawings from life! 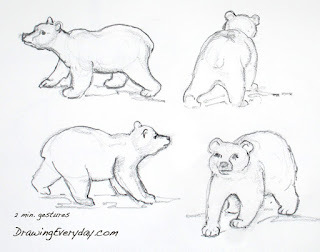 You can see more about gesture drawing on this blog in the side panel. See a previous Gesture Challenge Here.